On September 29, Rolls-Royce Motor Cars had press conference that introduces ‘Rolls-Royce Studio’ for the first time in Asia at BMW Driving Center, in Yeongjong-do, Incheon. 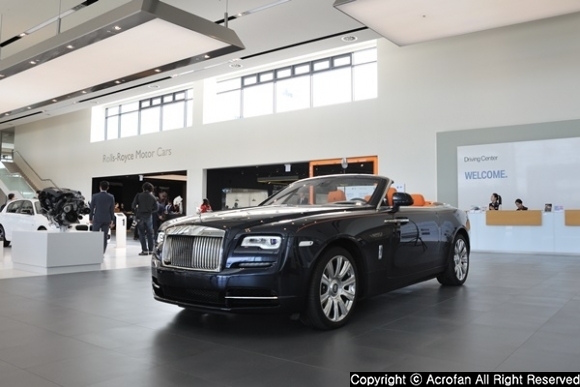 Rolls-Royce Studio, which will be built in BMW Driving Center with an area of 200 m² (60.5 pyeong), is the second global studio after Goodwood headquarters’ ‘Atelier’ in England. Built in BMW Driving Center near Incheon International Airport with an area of 200 m² (60.5 pyeong), Rolls-Royce Motor Cars studio is divided into two spaces. In ‘Car Gallery,’ located at the entrance of the studio, Rolls-Royce’s latest models are displayed alternately. 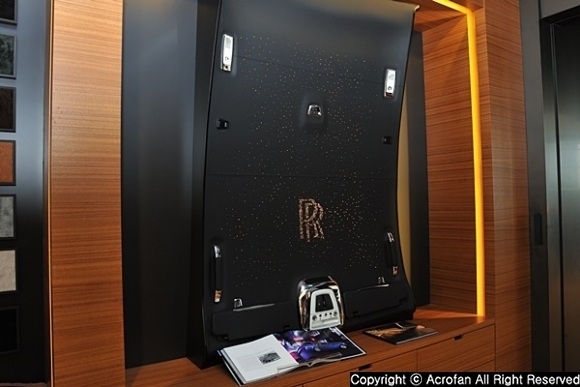 In ‘Atelier’ lounge, which is operated by reservation system, the world of Rolls-Royce’s proud Bespoke can be seen, and it is possible to order the car at the site after watching the materials applied to options. Also, at the brand studio, a special space for test-drive for Rolls-Royce customers is prepared. Customers can test drive various Rolls-Royce models on the test-drive course, which used Closed-Course of BMW Driving Center and surrounding roads, and expert instructors from the company’s driving academy help professional test-drive. 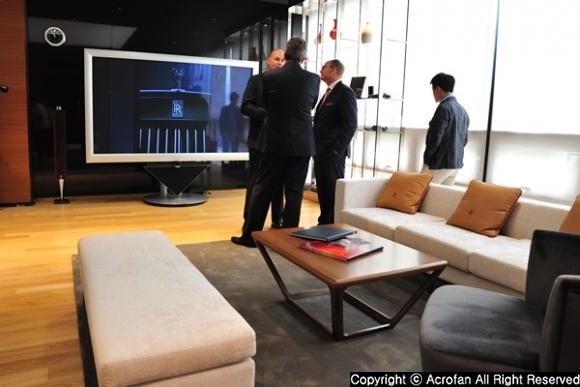 Therefore, it is characterized by experiencing Rolls-Royce in undisturbed relaxed and comfortable atmosphere. 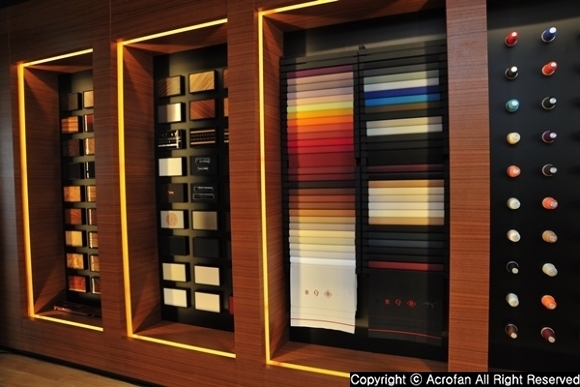 ▲ Rolls-Royce Studio, located in BMW Driving Center, Yeongjong-do. 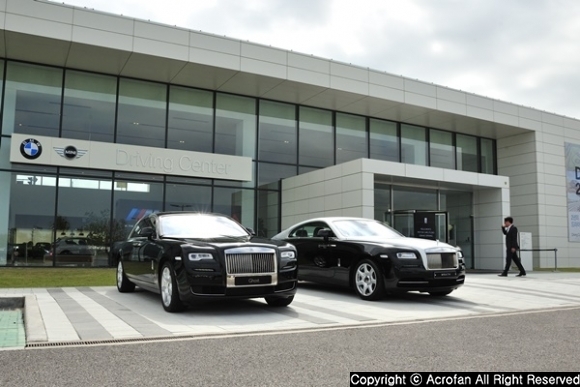 ▲ Besides BMW and Mini, Rolls-Royce shows the attraction of the driving center. ▲ The space seems casual lounge style, but it is basically extremely luxurious. 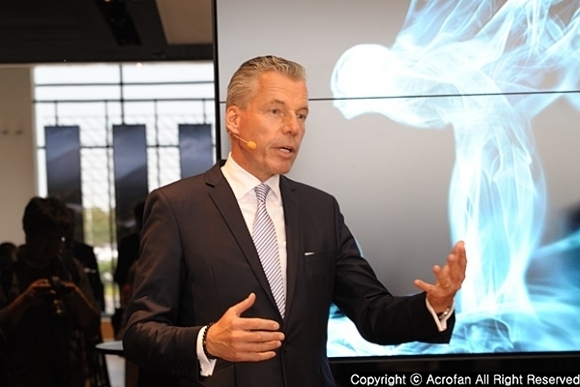 At this event, Torsten Müller-Ötvös, CEO of Rolls-Royce Motor Cars, visited Korea to introduced newly opened Rolls-Royce Studio. He explained that Rolls-Royce Studio, which is the second global studio opening on November 1 after Goodwood headquarters’ ‘Atelier’ in England, speaks for Rolls-Royce’s interest and importance in Korea. Also, he added that the location has high accessibility when looking at Asian markets such as China and Japan. ‘Rolls-Royce Studio,’ the permanent studio for providing environment where customers can easily meet Rolls-Royce, is the first time in Asia. Providing test-drive with Closed-Course has a meaning of the first try in the world. However, it is pointed out that, as the features of all the Rolls-Royce Studios, they provide specialized ‘Atelier’ with a similar feeling to the lounge rather than the normal dealer shop. Moreover, being unique brand experience space, the studio is the best environment for order, actual driving education experience, and etc. 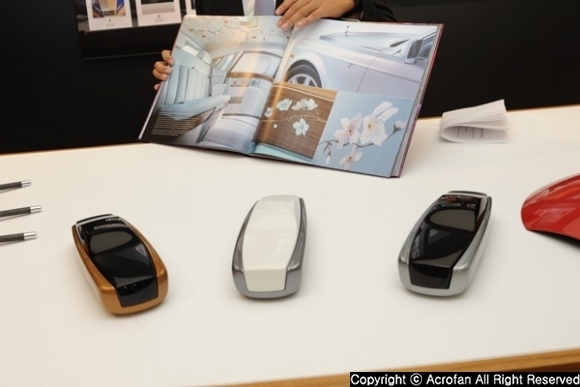 In ‘Car Gallery,’ located at the entrance of the studio, Rolls-Royce’s latest models are displayed alternately, and in ‘Atelier’ lounge, which is operated by reservation system, the world of Rolls-Royce’s proud Bespoke can be seen. Through Rolls-Royce Studio, customers can test drive various Rolls-Royce models on 2.6km test-drive course, which used Closed-Course of BMW Driving Center and surrounding roads, and expert instructors from the company’s driving academy help professional test-drive. 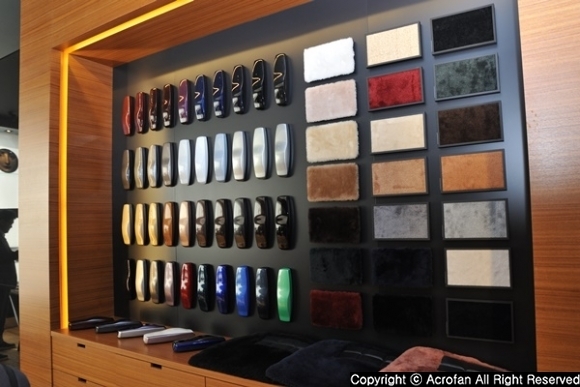 ‘Atelier’ lounge reflected the lifestyle of Rolls-Royce, and it is organized to be able to remind of Rolls-Royce’s hometown. The finest materials applied to Bespoke option are displayed everywhere in the studio, and visitors can see the best quality wood, leather, a wide range of colors and options that can be actually applied to the vehicle. Moreover, customers who visit the studio can order Bespoke car at the site after experiencing the exhibits. ▲ It is possible to check various material options that can be selected for custom commission. ▲ If there is no problem in safety, the pattern of the car ceiling will follow the customer’s preference. ▲ There is a big difference between selecting through catalog and choosing after actually seeing. ▲ With touching and selecting, it is possible to find the cases of other customers.